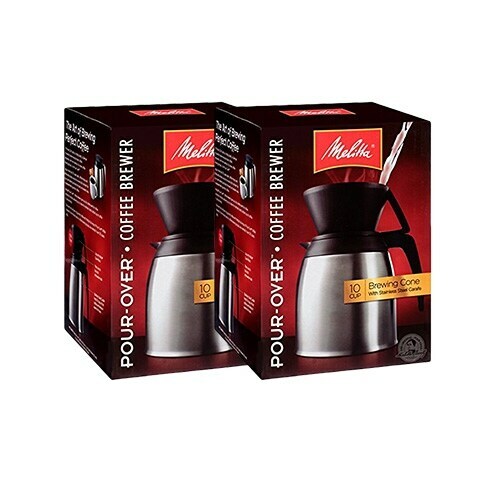 The Melitta 64104 manual coffeemaker has a smart design that occupies less space, and is made of stainless steel and heayduty plastic. This coffee maker is sized to make ten full cups of coffee at a time. The stainless steel carafe holds 60oz of hot coffee and keeps it warm for hours. This Coffeemaker uses number 4 paper filters and is ideal for use at home, office or college. The heavy duty plastic filter cone and lid are BPA Free and top rack dishwasher safe.